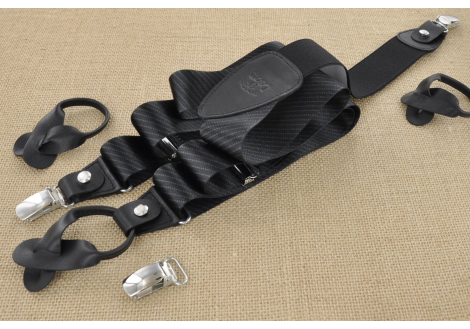 These Harlequin braces for men are 110 cms long and 35 mms wide. 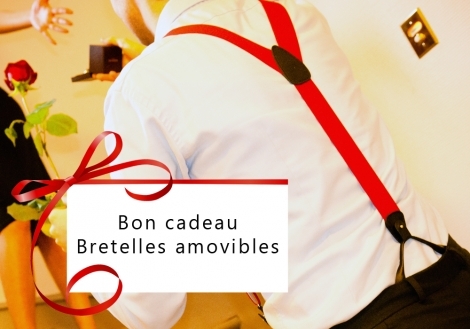 They team multicolor elastic straps (82% Polyester and 18% Elastodiene) with a brown leather yoke (full grain leather) embossed with the words Les Bretelles de Léon. 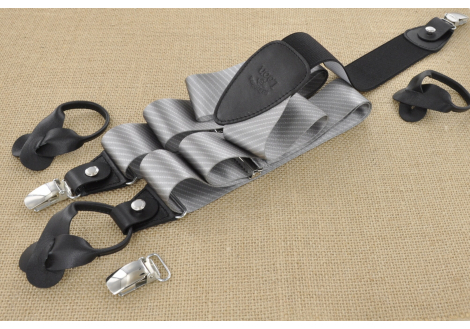 Our Harlequin braces in the Heritage collection are detachable and have two fastening options: either stainless steel clips with a rubber backing to prevent marks on your clothing or matching leather button tabs for 6 buttons for perfectionists to sew on their trousers. Both types are easily interchangeable. 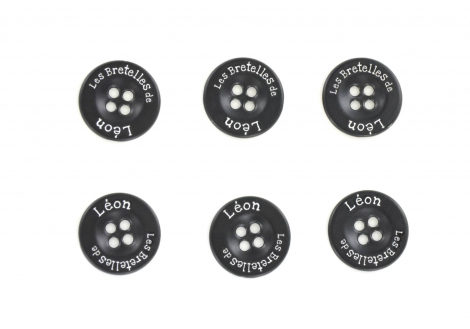 Specially designed buttons for your braces are available for sale under ‘Wardrobe’. 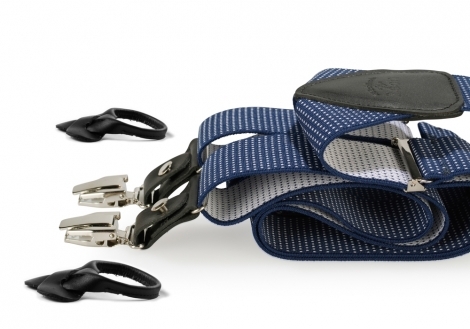 System Dual / Interchangeable "Clips and tabs"